I know popsicles don't involve any baking but, with the hot weather, a sweet cool treat justifies being posted. Also, after being at the zoo today with 5 energetic grade two boys, coming home to lemon popsicles sounded divine. Puckery Lemon Drop popsicles are a snap to put together and only have 3 ingredients. 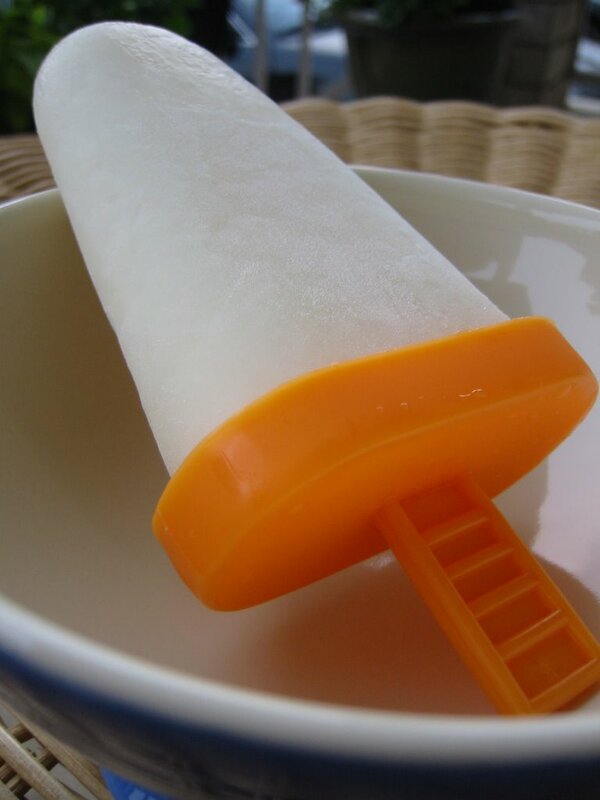 Vanilla or lemon yogurt, lemonade concentrate and corn syrup are mixed together in a blender or with a whisk (whatever you have on hand), poured into popsicle moulds and frozen. Come back in a few hours and you'll have a yummy lemony treat. Again, if you love citrus dust off your moulds and get freezing! The amount of popsicles you make depends on the size of the moulds. I made 12 and only have one left today...I barely got my hands on one to take a picture! I tried to make this cake over the weekend in time for SHF but I just couldn't find the time to do it. I had the intention to make it for about a week and I wanted to try the recipe so, even though it is blazing hot outside today, I turned on the oven and made it. The cake is from Canadian Living and is called the Boscobel Beach Ginger Cake. I wanted to try it because it contains a 1/4 cup of freshly grated ginger and no molasses which I thought was great. I wanted the intense spicy flavour of the ginger to be front and centre. 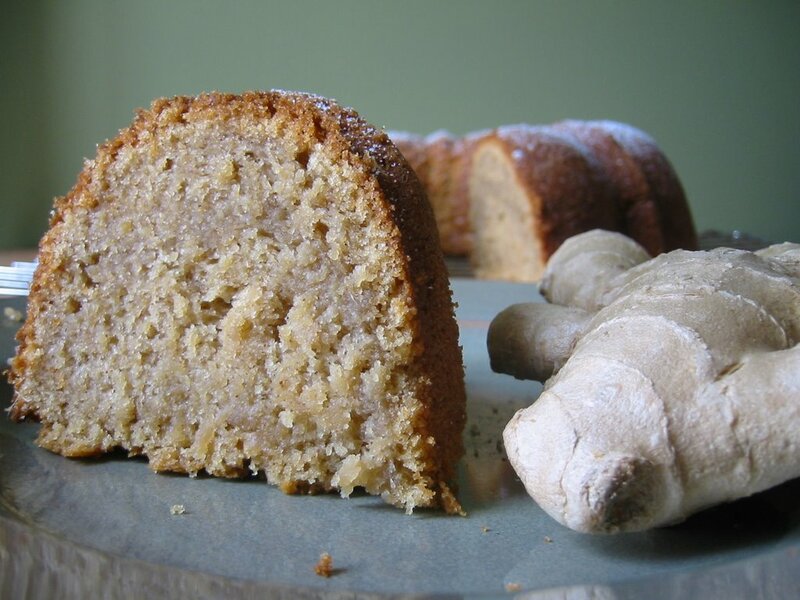 The cake mixed up beautifully and is a wonderful moist, dense cake. The ginger did not make the cake taste bitter - it was a nice mellow ginger with a hint of cinnamon. A perfect cake for sharing with friends in your kitchen or on the beach. I can almost imagine being in Jamaica right now since it is so hot today. Sitting by the sea, a warm island breeze blowing, soca beats in the distance with a piece of ginger cake and a tall, cold glass of lemonade. Bliss. What makes dessert sinful? Is it the guilty pleasure we derive from eating a delicious confection made with rich decadent ingredients? Do we feel bad because indulging in sugary goodness is not good for our physical well-being? Well I say, "Eat dessert!" and don't feel bad because eating dessert is good for mental health. Really. Don't we all feel a little bit happier once the craving for something sweet has been satisfied? Take these Pink Sin bars from Great Canadian Cookies, Bars & Squares. Like most self-respecting bars, they are rich and don't lack for sugar. The buttery graham-brown sugar crust is topped with a gooey coconut filling and finished off with a silky smooth, melt-in-the-mouth pink icing. 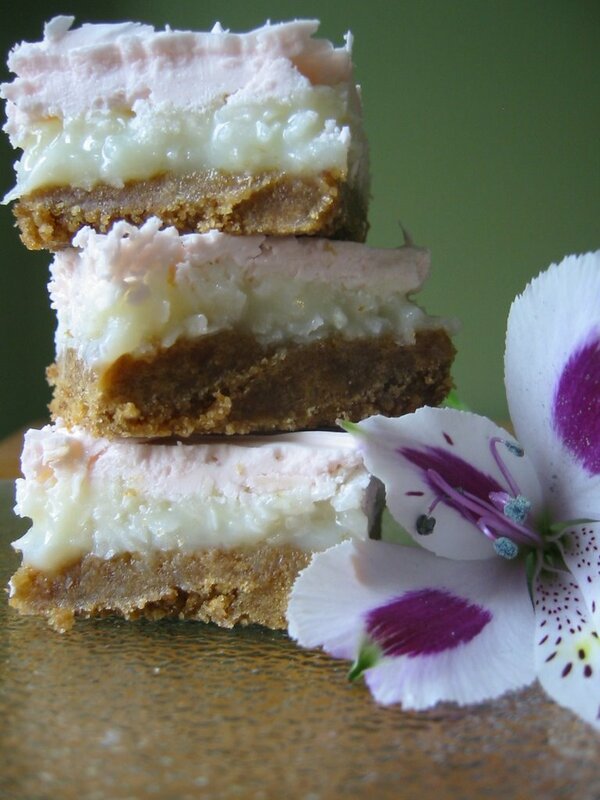 They are super and if you're a coconut fan you will feel as thought you had "died and gone to heaven" as the recipe submitter did. Have a square! Cut them small and enjoy - you'll be glad you did. Sometimes you just can't decide what kind of cookie you want. Regular chocolate chip or the reverse? At some point in history, an ingenious baker out there came up with a solution to this dilemma by creating a cookie featuring both types of dough marbled together to make one unique cookie that satisfies both light and dark cookie cravings. Chocolate Marble Chunk cookies is one of many variations of this cookie. It comes from The Good Cookie and is a simple drop cookie dough. The marbling of the two doughs only takes a few extra minutes and the effort is worth it. These cookies look dramatic and you'll instantly feel compelled to eat one, honest. The only change I made was to use chocolate chips because I didn't have any bar chocolate and I also added grated orange zest to the chocolate batter for an extra flavour dimension. This turned out to be a good idea and made the cookies taste like a Terry's Chocolate Orange. 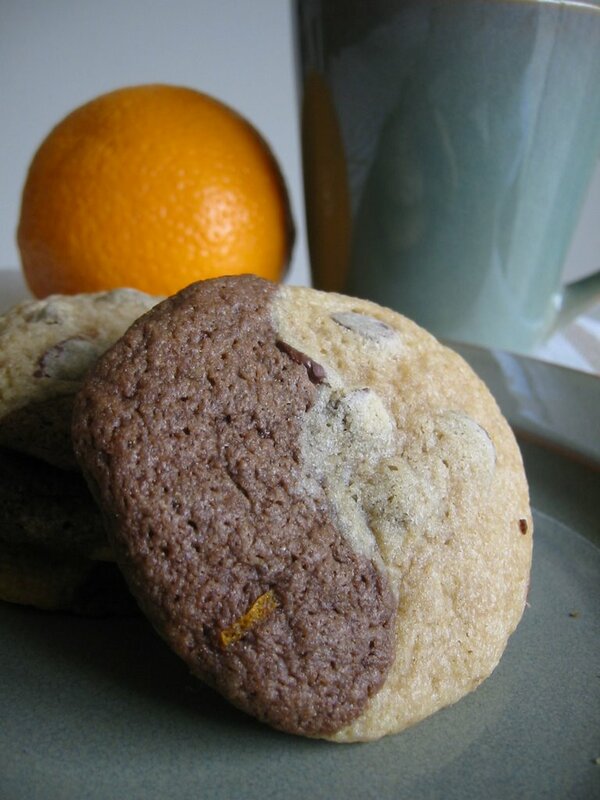 If you don't like the chocolate-orange combo, just omit the zest - the cookie will still be delicious! If you live in Ontario, you know that this May 2-4 weekend was not very sunny or warm. Traditionally, this weekend is for planting beautiful flowers in the garden and is also the start of the cottage season. I know that a little unpleasant weather wouldn't keep Canadians from going to the garden centre or up north but I felt a little chilly and decided that a really good way to warm up would be to turn on my oven. 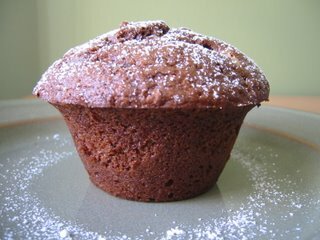 The Chocolate Intensity muffins I made certainly infused the house with warmth. 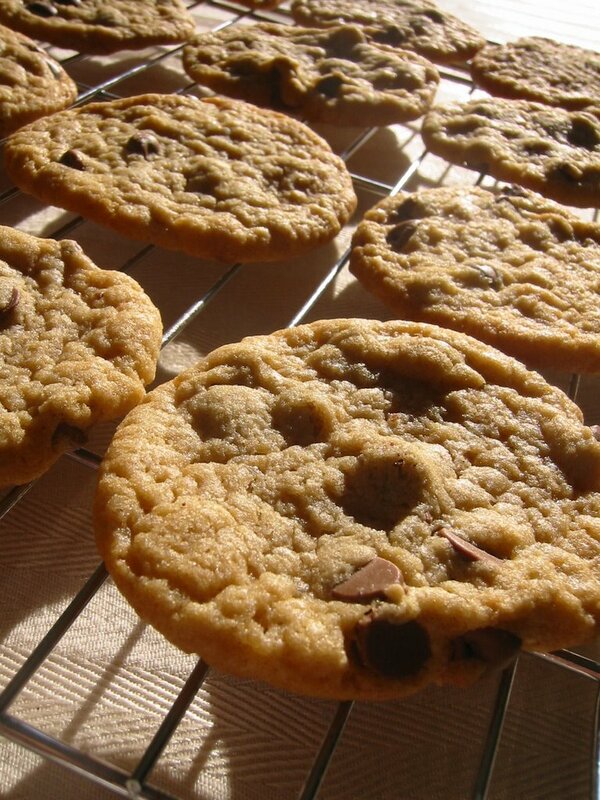 The batter mixes up easily and lends itself to all types of add-ins such as chocolate chips and nuts. I opted to include white chocolate chips for some contrasting colour. Mr. CB thought that this was a terrible idea on my part and requested plain chocolate chips for next time. Other than that, he had nothing bad to say. The muffins are chocolately but not heavy and have a nice moist crumb. The top gets crackled on top so you can show it off or dust it with icing sugar. 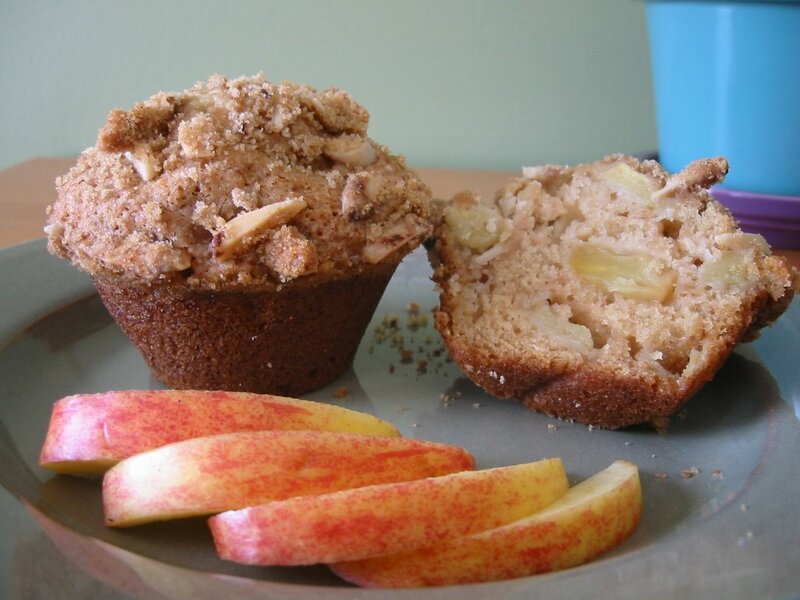 They hit the spot when you're craving something sweet and go very well with hot tea. The weekend isn't over yet - have a happy Victoria Day everyone! A while back, the Toronto Star printed and article about the results of Canada's Best Chocolate Chip Cookie Contest. I decided to make the winning cookie, #205, because it was said to be "oddly compelling and unusually delicious." I found this intriguing because this cookie contained a secret ingredient - instant vanilla pudding. I have never tried pudding mix in cookies and was reluctant to do so but I thought that since 14 well-known Canadian judges including Elizabeth Baird, Rita DeMontis and Dufflet Rosenberg gave it the thumbs-up I would give them a try. The very first comment I got was from my 5 year old neighbour who enthusiastically said, "These are deeeeelicious!!" Who could argue with that? In a matter of seconds, the first dozen cookies disappeared and I was forced to concede that the cookies were definitely kid-friendly. There is no discernable vanilla pudding taste in the cookies and the melted butter and brown sugar give the cookies a nice caramel flavour. They are sweet but not too sweet and are undoubtedly pleasing to eat. I detected a small aftertaste from the pudding but that's just me being picky. I don't necessarily think you need vanilla pudding to make a flavourful cookie but these were tasty. Congratulations to Andrea and Sarah for coming up with the winning recipe! 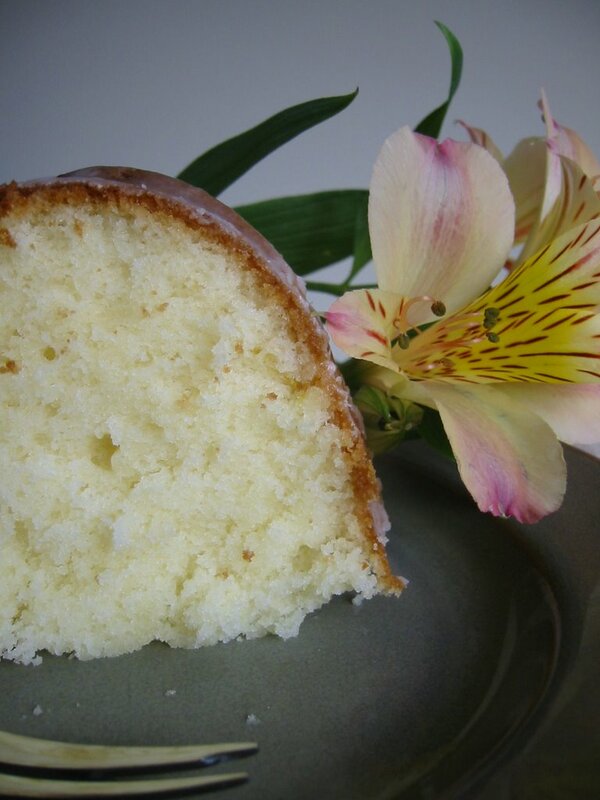 I have a favourite recipe for an empowering lemon bundt cake that comes from the Milk calendar. I don't remember what year but, it was by Anne Lindsay and it was amazing. My copy was nowhere to be found so I looked online for something similar. I found a lot of recipes that called for packaged lemon cake and/or pudding mix and even one with lemon-lime soda. Needless to say, this is not what I was looking for. I went to the trusted Canadian Living website and found a lovely recipe for Glazed Lemon Cake. It called for milk, real lemons and good old-fashioned ingredients like eggs, butter and flour. I set to work and about an hour later I had a wonderful lemon cake ready to share. The crumb is tender, moist and almost melts in your mouth. The lemon flavour is refreshing but not overpowering and the glaze adds an extra lemon punch. So, if you're a citrus lover, this cake is for you! When I need a change of pace from chocolate chips, I love using butterscotch chips. I really like them and find that they have a rich, creamy buttery flavour and are great in cookies. The cookies I made this weekend were Crispy Butterscotch Oatmeal cookies. 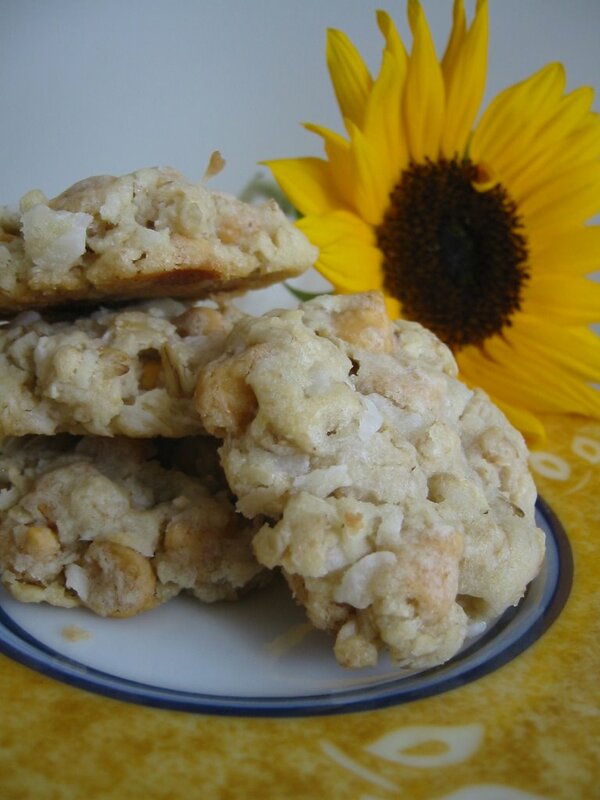 The recipe is a simple oatmeal drop cookie that includes butterscotch chips and coconut. The interesting thing, though, is that no eggs are needed. Milk or water is included for moisture and the dough comes together as normal - not too dry and not too wet. The directions call to bake the cookies for 15 to 20 minutes. I can appreciate crispy cookies but I opted to make mine a little softer so they would be eaten by others than just me. Even though I reduced the baking time, the bottoms browned nicely and everyone really liked them. They had a nice flavour - no one element overpowered the cookie and the oats did get a little crunchy. A keeper, for sure, and an easy recipe to try out if you've never used butterscotch chips before. CBBP Package: Who wants ice cream? Yesterday I was pleasantly surprised when I got the mail. There was a package with my name on it from no other than Jennifer - the one and only Domestic Goddess. Wow! 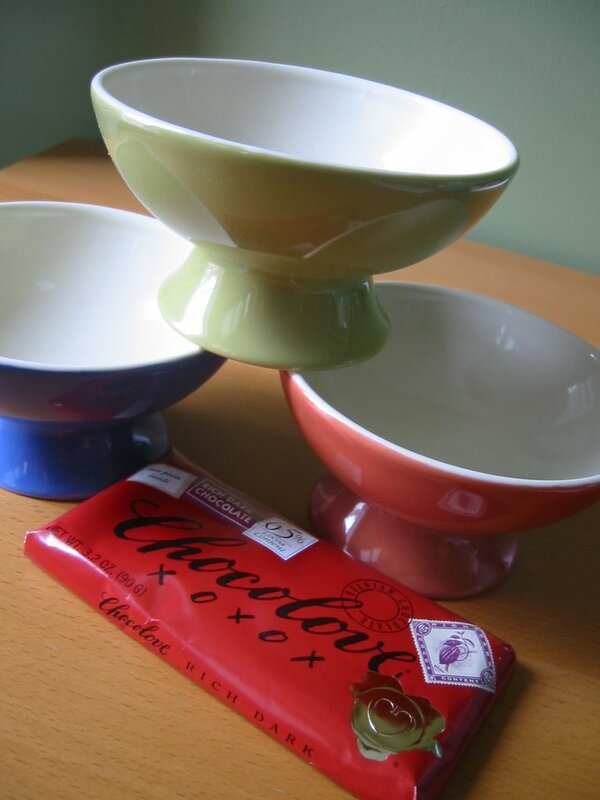 Eagerly I opened it to discover beautiful ice cream bowls, a Chocolove chocolate bar and homemade cookies made from her mom's top-secret recipe. I don't have a picture of the cookies because they were all eaten before I could snap a photo but, rest assured, they were amazing. As I was flipping through Great Canadian Cookies, Bars & Squares, I came across an unusual recipe for Almond Fingers. I was reading the ingredient list and saw that the only almond element was extract - no actual almonds at all. When I read the write up about the recipe I found out that it dates back to the Great Depression in Ontario. It is even considered a lavish recipe because it contains both butter and eggs - two things that must have been expensive in the 1930's. I made them today and they are amazing. The ingredients are easy to find and the preparation is a breeze. The almond extract lends a sutble flavour to the fingers and the semolina adds a nice grainy texture. MiltonMama, a faithful reader, said they were wonderful and she especially liked the crunch from the semolina. 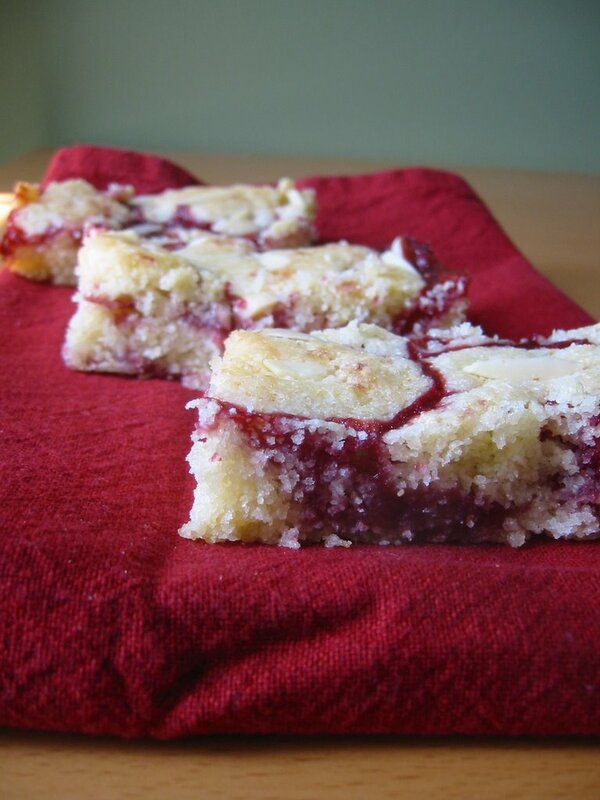 The bars cut very easily and are moist and cakey. Leave it to inventive Canadians to make a bar that stands the test of time - they are just as fantastic as they must have been 70+ years ago. For my first contribution to CBBP (Canadian Blogging by Post) I decided to make Caramel Chocolate Brownies. The theme for this post was chocolate and the brownies fit this criteria perfectly. It took me a long time to decide what to make and I stressed over it so much that I nearly didn't participate. Thank goodness I had a flashback and inspiration struck! Way back when I was newly married I would often go visit my family on the weekend sans Mr. CB. (We were in different cities.) He would stay in our small apartment near to the university we attended and fend for himself. As an act of kindness, I decided to make some food for him to eat while I was away and left him an entire batch of these brownies to eat for the weekend. Wow, I was so proud of myself. Back then this is what I considered food - no pasta, meat or veggies for him! Just brownies. Well, years later I've learned to actually cook and no longer make sweets as the main meal. I haven't made these brownies since that weekend and made them for CBBP because they bring back such a funny memory and show me how much times have changed. Thanks to Sam at Sweet Pleasure for hosting this super event along with Ivonne from Cream Puffs in Venice and Tania of The Candied Quince. It was a lot of fun and I can't wait to see what goodies I receive from my mystery blogger! 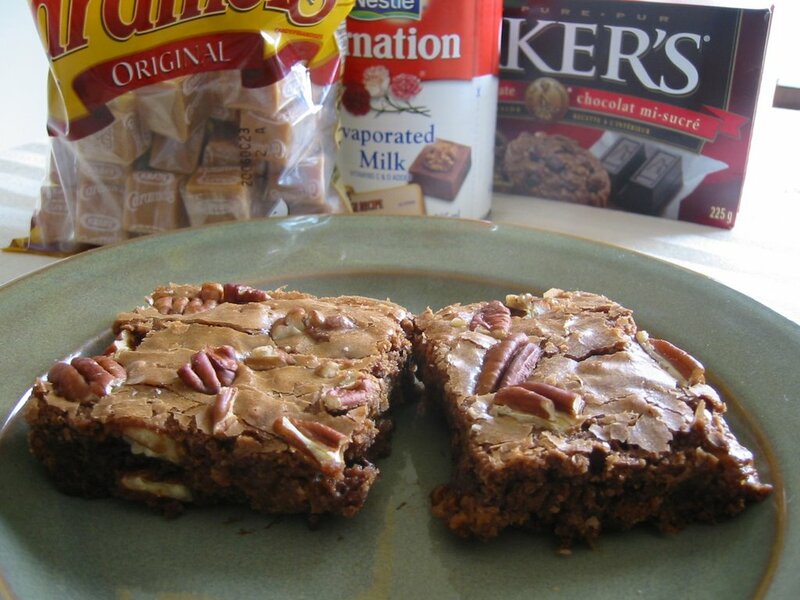 I think I may have to buy Great Canadian Cookies, Bars & Squares because its filled with great recipes. Take these bars for instance. Barb's Peanut Butter Squares are fantastic. They combine peanut butter and chcolate in one easy to make, old fashioned treat that never goes out of style. First, you have to make a oatmeal cookie dough and a creamy peanut butter mixture. 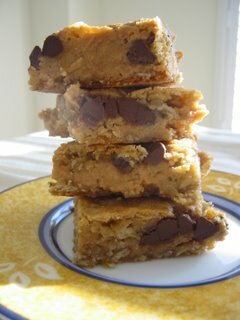 The peanut butter is layered between the oatmeal dough but not before a generous sprinkling of chocolate chips is added. This is then baked up into chewy golden squares that are homey, satisfying and perfect when you're craving something sweet, but not too sweet. The overall bar is very tasty. I used large flake oats so the oatmeal is very pronounced in every bite and I also used natural peanut butter which worked just fine in the peanut butter layer. I would definitely make these bars again even though they are a bit more time consuming than regular peanut butter cookies. It takes time to press everything into place and your fingers will get messy! They are very totable and kid-friendly provided no one has a peanut allergy. Try them out! I decided to try another recipe from Great Canadian Cookies, Bars & Squares since the Cherry Chews went over so well. 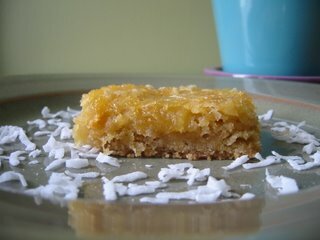 This time I made Mrs. French's Pineapple Squares which comes from a "cookbook featuring favourite recipes of the ladies of the Drumheller Salvation Army Home League". Yeah Alberta! The squares themselves are a snap to assemble and bake. They bake up a beautiful lightly-browned warm yellow colour. The crust is similar to shortbread and the filling is a gooey mixture much akin to the cherry chews but contains pineapple and coconut. The bars are amazing once they have cooled. The brown sugar in the crust gives the bars a rich buttery flavour and the filling is not runny nor hard and crunchy. They are perfectly moist and not overly sweet making them ideal to eat anytime. They can be served plain, with a dusting of icing sugar or a drizzle of plain vanilla glaze. It doesn't matter how you eat these bars - they most certainly will be enjoyed!